While there’s not much to this after all is said and done, there are a few rules to steer you clear of problems when connecting your iPad to your Apple wireless keyboard via Bluetooth. Now mind you, these are problems I have encountered while following guides online, and it’s not written to dis you, but rather to aid you into not bumping into the same issues as I have. You’ll only need two things to make this work: your iPad and your wireless keyboard. 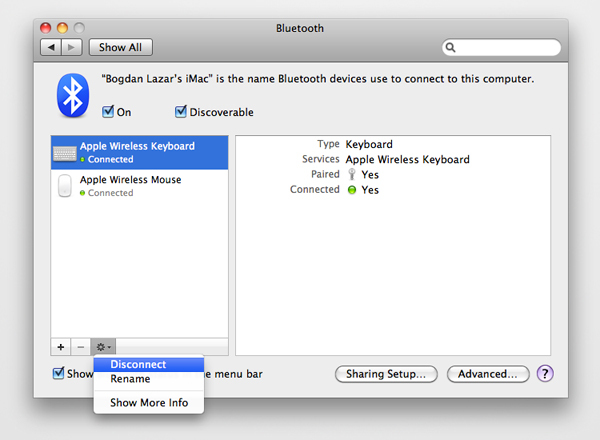 You can use any bluetooth wireless keyboard. For the purpose of this article and since we’re all mac fans here, I’m using an Apple wireless keyboard. MySQL and database users out there should understand this without a hitch. The idea is that you can’t pair your keyboard when it’s already paired with your Mac. So the first step to making this work is to unpair your keyboard from your mac. 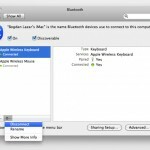 Simply go to System Preferences > Bluetooth. You should see your keyboard along side other connected devices, like your Magic Mouse or Magic Trackpad. Make sure Discoverable is turned off, click the settings wheel and choose disconnect from the menu that pops up. Once the device is disconnected, you can remove it from the list by selecting it and clicking the minus button, next to the settings wheel. For some reason, after you’ve followed the above steps, your wireless keyboard will turn itself off. So when you turn Bluetooth on the iPad, it won’t find it. So be sure to turn it back on before trying to pair with the iPad. On your iPad, go to Settings > General and turn Bluetooth on if it’s not on already. 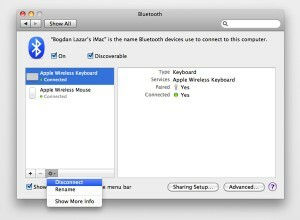 Your Apple Wireless Keyboard will show up as unpaired. Choose pair from the iPad and it will prompt you to type a code on your keyboard followed by the return key. After you’ve done that, the two devices are paired. I tried connecting an Android phone, my iPhone3G and my Nokia phone via Bluetooth to my iPad with no luck. I quickly ran out of Bluetooth devices, since it’s a feature of phones and mobile devices (iPad included) I barely use. But I’d be curious to see what devices you’ve successfully connected to the iPad. Leave me a comment below for everyone to see! My keyboard for my iPad has been working well. All of a sudden Bluetooth can't find it.